The SmartShake is a complex little bottle that can store all the supplements you need for the entire day. Instead of carrying your basic shaker plus a few tubs of pills and supplements, you can put them all in one unit. It has several storage compartments where you can put your protein, creatine, vitamins and capsules for the entire day. You can also store fruits, yogurt, cottage cheese, oatmeal and who knows what might fit in there. It has an innovative and concave strainer for perfect mixing and it is available in many colors and sizes, starting at $7.59. Click here for more info. Whether your friend is a beginner or an advanced athlete, he definitely needs to keep track of his progress. And the Escali Body Fat & Water Scale might be the perfect tool! 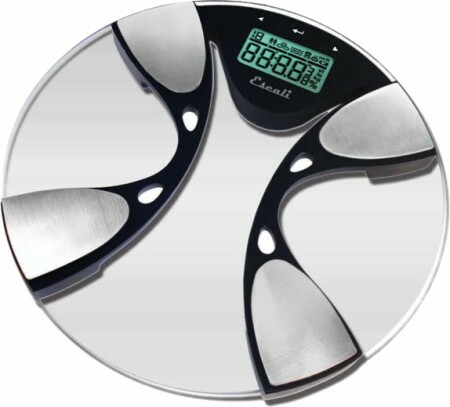 With its sleek design, the BFBW200 bathroom scale features advanced digital weighing technology that accurately shows the fitness level of the user. It can measure a weight of up to 440 lbs (that means 200 kg) as well as the percentage of body fat and body water for up to 10 user profiles. It is now available for just $44.85 and you can get it here. 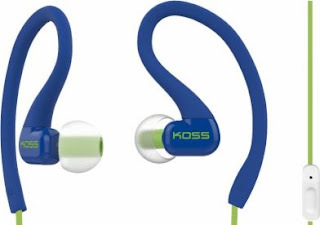 If your friend not only likes to work out, but is also a big fan of music then he definitely uses some headphones at the gym. We all know that awkward moment when your headphones pop out while performing an exercise, but this is where the FitClips Earphones come in handy. They have a special design that allows them to fit comfortably around the ears and never pop out. They are also ultra-weight and have a 4-foot cord with in-line one touch microphone and the frequency response is 50-20,000 Hz, meaning that the audio quality is great. They are available here for $14.95. The Harbinger Training Gloves with WristWrap might be the best training gloves ever created! The Harbinger’s TechGel Comfort Pads mold to your hands and protect them from the stresses of intense workouts while the adjustable wrist wrap supports your wrists when using heavy loads. 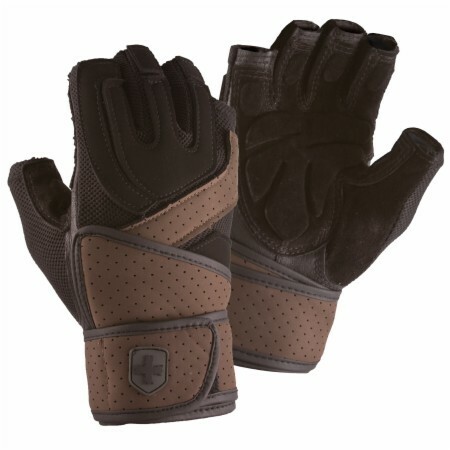 They also feature special NoSweat lining that wicks moisture away, making them last longer and also removing that nasty smell you get after using cheap gloves. They are now available for $29.99 and you can order them here. 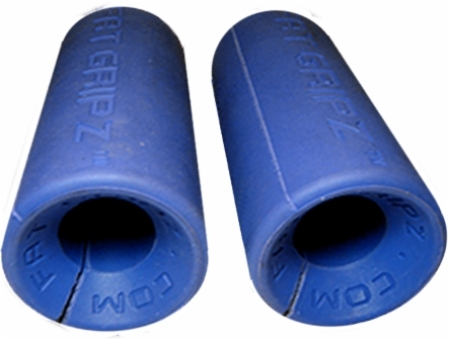 Other “gadgets” that might make a big difference in your workouts are The Fat Gripz. These small pieces of rubber might be the single and biggest difference you can make to your muscle size and strength and they are used by many top bodybuilders, powerlifters, UFC fighters, members of the US Special Forces and more. They will turn any bar into a thick bar, giving you forearm development and increase muscle activation on any exercise. You can read more about them and get them for $38.95 on this page. Traveling with all your meals, proteins and supplements can be a really big challenge and that’s why the “6 Pack Fitness” company made The Innovator 6 Pack Bag. 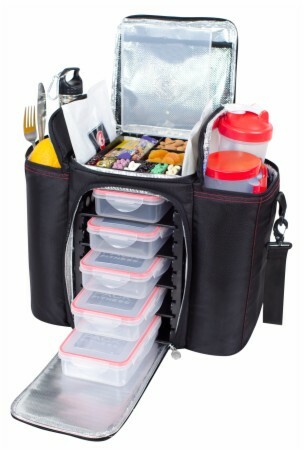 With this tool you can independently store and organize your meals, supplements, water, fruits and other tools. The top of the bag holds the vitamins, pills, nuts, dry fruits and protein bars while the 2 sides can hold your water bottle, protein powders, shaker and other utensils. The meals are held in 3 or 5 leak proof containers which are surrounded by 2 gel packs that keep them cold and fresh all day long. You can get it here for $71.19 (the 3 meal system) or $109.99 (the 5 meal system). And speaking of supplements…we don’t recommend buying specific products for someone, unless you are really familiar with their actual supplementation regimen, with their goals and with the product itself. But here is what you can do - get them a Bodybuilding.com Gift Certificate, and they can choose whatever supplement they want! Depending on how much you care for that person (and on your budget of course) you can choose an eGift Certificate of $25, $50 or $100. Click here for more details. So there you go! Seven great gift ideas for anyone that is passionate about fitness! If you are not planing on buying anything, but you actually want to receive one of these products, just share this article with your friends and family and who knows what might come up!